Various university studies have shown oregano oil to be a strong purifier with health benefits useful in several home remedies and natural cures. Currently, it is being studied as an antibacterial agent with strong indications that it can be as effective as synthetic antibiotic medications when it comes to inhibiting bacterial growth. 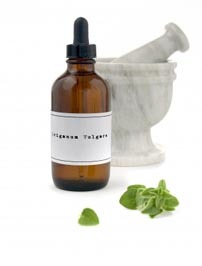 Oregano oil comes from wild plants and includes the key compounds – thymol and carvacrol. Both of these compounds have been found to eliminate many of the microorganisms that cause illness to occur to humans. Many people confuse oregano oil with the oregano that is used to cook with. This oil, however, is extracted from Origanum Vulgare, while common oregano is Origanum Marjoram. Although both are in the same family, they are two different types of oregano. Oil of Oregano is a natural substance that is extracted from wild oregano plants, and two key compounds found in it are carvacrol and thymol. Studies have shown that both of these compounds have significant effects on harmful microorganisms that cause many illnesses in humans. Usually oregano oil is purchased in liquid form, although it can be purchased as a capsule, as well. In whichever form, it is important to make sure that the oil comes from the right plant and that there is a minimum of 70% concentration of carvacrol in it for the best results. Skin Infections – Oil of oregano is known to help treat skin infections, but it must first be diluted before it is used on the skin. Often, it is mixed with grapeseed, coconut or olive oil before it is applied topically. Sore Throat and Colds – Oregano oil can be used to boost the immune systems of those battling a cold or sore throat. Three drops can be used with water or orange juice to treat this problem. This works for sinus congestion as well. Digestive Problems – Both the carvacrol and thymol in the oregano oil are known to aid with digestion and to calm an upset stomach. Oregano oil is a medicinal herb and, as such, it is important to remember a common adage that describes medicinal herbs as those, which can ‘heat the house up or burn the house down’. In other words, they can be used to heal or, if not used carefully, can also have side effects. One of the specific side effects of oregano oil is that it can reduce the ability of the body to properly absorb iron. Anyone planning to use it on a regular basis, is therefore advised to also take an iron supplement. For this same reason, it is not recommended for use by pregnant women. Further, those who are allergic to sage, basil, thyme or mint may find that they are also allergic to oil of oregano. If symptoms, such as vomiting, irritation or rash occur, its use should be discontinued immediately. Oregano oil is commonly recommended for home remedies and natural cures because it is generally deemed safe and highly effective. Of course, a holistic health approach to living is always the best safeguard against illness and disease. However, when one finds that good health has been compromised, oil of oregano, as well as countless other healing herbs, come highly recommended.